Home A Vintage Nerd Book Club AVN Book Club: Double Feature: What Would Grace Do?/What Would Audrey Do? 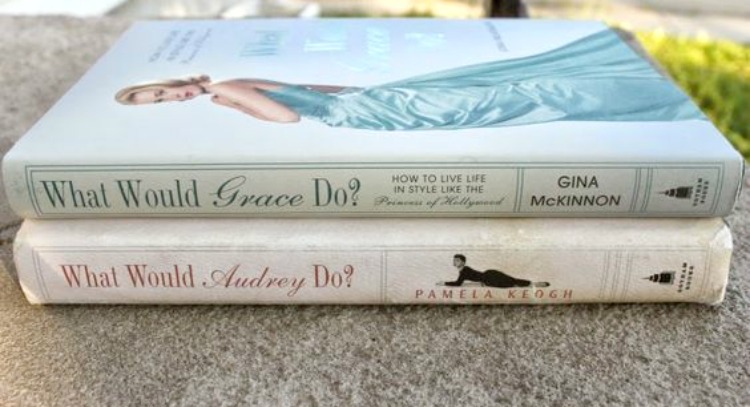 AVN Book Club: Double Feature: What Would Grace Do?/What Would Audrey Do? When I saw these neat little books I had to find out what they were about. I mean, What would Grace Do? What would Audrey Do? Yes PLEASE! These two Old Hollywood actresses and style icons have been gone for some time but luckily we can look back and learn from them. These books show and teach us how both Grace and Audrey reacted to various aspects of life as well as how they dealt with challenges. What Would Grace Do? is written by Gina McKinnon. It includes ten chapters that cover her beginnings outside of Hollywood to her life as a bonafide Princess. This book read like a biography but then there are sections everywhere where the author lays out tips from Grace's experiences, life lessons from Grace, quotes, words of wisdom, and so much more. I really enjoyed having them in between the background stories about Grace's life. The second book, What Would Audrey Do? by Pamela Keogh addresses how Audrey would do things but it is a bit different than the first book (above). This book includes ten chapters that cover her life but I found the format to be less like a normal biography. This book gives a more in depth and detailed look at how she would address various life experiences. I also love how each chapter begins with a cartoon-like drawing of Audrey. I found them to be a real nice touch and a lovely way to begin the chapters. This book also contains quotes, lists, and a slew of life lessons. It is wordier than the book on Grace but I actually got more out of this one than I did on Grace. I really enjoyed all the lists and points made and that sort of format kept me peeled to the pages wanting to see more. Overall, each book was exactly what I hoped they would be. A little peak into how each of these unforgettable starlets handled life. I also enjoyed how each book included tidbits and advice on their fashion sense. Those sections were super neat to read because I just adore the styles of both Grace and Audrey. Their style was practical, comfortable, and highly attainable. Anyone can emulate the style of both Grace and Audrey and make it specifically their own. I just love that! Classic! They are great reads and a definite must have especially if you are a fan of Old Hollywood but most importantly if you admire the lives of Grace Kelly and Audrey Hepburn. They were two very different woman who really carved a life for themselves that will always be unforgettable. Both sound great, I'll definitely be adding them to my list of books I want to read! What Would Grace Do? has been on my wish list for a while, but I didn't realise there was an Audrey Hepburn version, too. Will definitely invest in both soon! 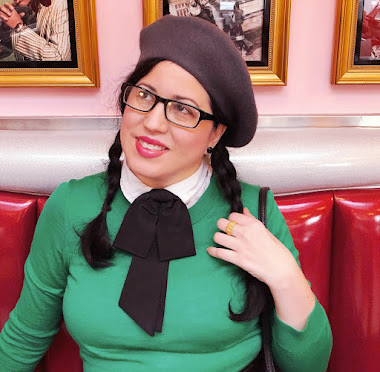 I read the what would Jackie do years ago and loved it!